“We are going to Bačvice…”, is tune often heard aroundthe town, words of a joyous hymn to the municipal beach, officially designated as such in 1919. 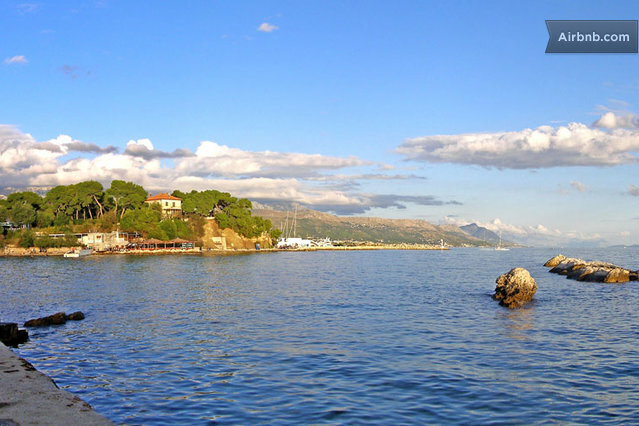 Bačvice is a phenomenon of nature, a sandy beach at the heart of the city, in the vicinity of the city harbor, and it can accommodate over ten thousand people. During the low tides in springtime Bačvice turn into a split version of Copacabana where many famous soccer players first displayed their talent, where the rugby in Split was born, where even in wintertime a unique game of “picigin” is played (a sort of volleyball, played in the sea shallows with a small ball). Bačvice today represents a best known promenade for all generations, and during nighttime is the favorite center of nightlife. Nobody has the lungomare, a promenade by the sea, like Split! Because of its fine sand and natural shelter Firule have always proven to be especially interesting for mothers with young children. A recreational pilgrimage to Firule grew more popular as the tennis center was organized here. Nikola Pilić, Željko Franulović, Goran Ivaniševic learned their first serves here as well as Mario Ančić and Jelena Kostanić.